There aren't many places in Sydney where you can relax, detox yourself and completely be immersed in nature. Well, no surprise, it is one of the largest cities in Australia. But, only two hours away from the hustle and bustle lies the state's only Japanese Hot Spa -Blue Mountains Sparadise. 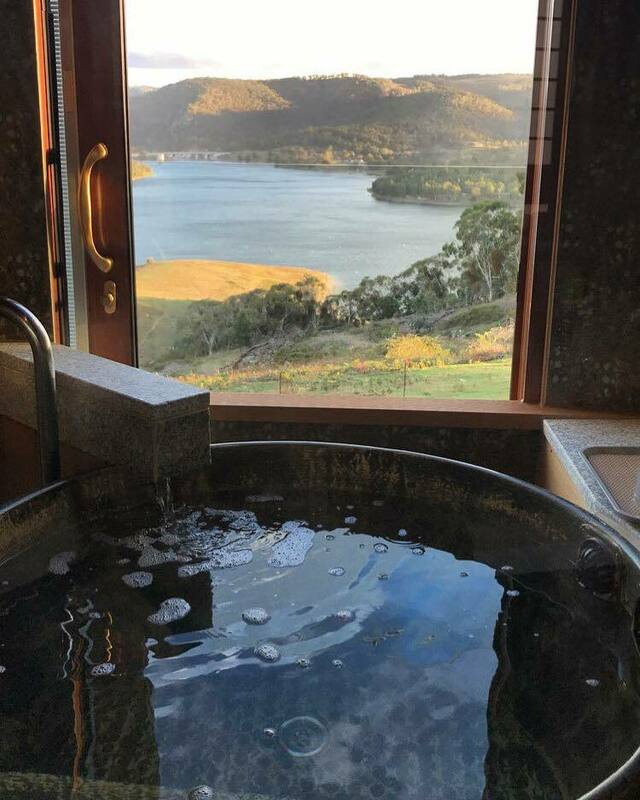 Located in the midst of the Blue Mountains, this unique space is in my eyes, heaven on earth. There's a sense of freedom and calm as soon as you step foot in the place. It's designed to be an inexpensive and a complete healing retreat in the middle of nature. Completely surrounded by the splendour sight of mountains, a lake and fresh air… what more could you ask for? One breath of that crisp oxygen is enough to rejuvenate your body. There are hot baths in almost every corner, both indoor and outdoor, ranging from cold to 38 and 40 degrees. A herbal steam room is also one to enjoy, and a great way to exfoliate dead skin cells from and clear your lungs with the eucalyptus steam. The bath water isn't from the tap, it's from the purest water directly from the natural underground springs of the mountain. Once you've enjoyed both the baths and the steam room, it's a must to admire the scenery in the Japanese Zen garden and take in the breathtaking views. My fiancé and I did this all in three hours, we prefer night time 6-9 to really take in the sunset and the stars at night. For the day hounds, there is a 12 to 3pm session and 3 to 6pm session. The spa entry fee is $70 for three hours which includes the herbal steam bath, hot and cold spring baths and Japanese zen garden. It doesn't include tea or meals. For those wanting to go the extra mile, there's also accommodation. It's a little bit on the pricey side but you're worth getting spoilt once in a while. The Sparadise experience is not just a therapeutic, but an excellent way to eliminate toxin build up in the body… If you're ever needing a little getaway, this place is a must!